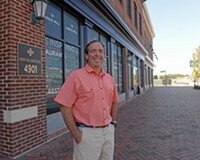 Scott Elmquist Lemaire chef Walter Bundy stands outside his new restaurant at Libbie Mill-Midtown. When Walter Bundy left Lemaire at the Jefferson after 15 years to go out on his own, he said that it was time for the next step in his career. 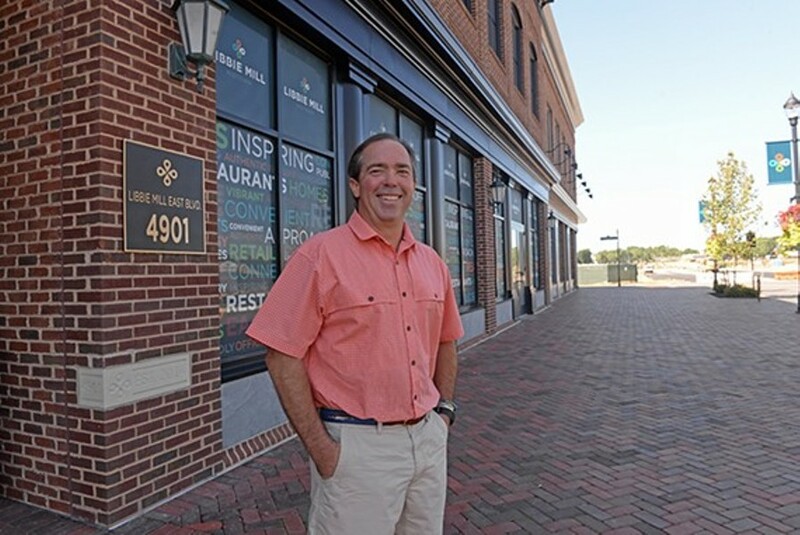 His new restaurant, Shagbark, opens Wednesday, June 29, at 4901 Libbie Mill East Blvd., Suite 175, at the shopping center and development originally anchored by Southern Season. Entrees will range from $8 to $30, and will include things such as Manakintowne Farms squash blossoms stuffed with herbed goat cheese, chicken-fried Chesapeake Bay oysters and an Autumn Olive Farms Berkshire pork chop with Anson Mills black sticky rice. Bundy wants to focus on his passion for the outdoors and love of his home state. Shagbark is a big place: It can accommodate 60 in the dining room, the bar can seat 30, there are two private dining areas, and a 25-seat outdoor patio. Both the bar and the patio will have a special menu that will include barbecued clams, rabbit-filled hand pies and flights of fresh oysters. Bundy wanted a comfortable rustic space and Helen Reed of Helen Reed Design made that happen. She’s designed interiors for the Daily Kitchen & Bar, the former deLux and more. There are whitetail deer antler chandeliers, hand-painted wall coverings, hand-blown glass light fixtures and a Wellborn & Wright community table fashioned from a Civil War-era shagbark hickory tree. Lemaire chef Walter Bundy will open his own restaurant in the spring.